At some point in the future, the United States has a 2nd civil war. Instead of being between north & south, this time it’s man vs. woman. Ultimately, it ends in an uneasy truce; sort of like the end of the Korean war. As such, there are still minor scrimmages & incursions over the borderlands that divide the genders. The women of this dystopia somewhat resemble the Amazon women from Greek mythology. Like the Amazons, they are trained for combat have a tendency to really, REALLY dislike men. According to legend, the Amazons would have their childbearing aged women couple with men from a neighboring tribe once a yr. The female babies would be kept, while the male babies would be returned to the men’s tribe to be raised. As for future women, they have cut men out of the equation of reproduction altogether. Women are artificially inseminated, and the male DNA chromosomes have been omitted to preclude the chance of more male babies being produced. This is done, of course, with the efficacy of ultimately bringing the male homo sapiens to extinction. In order to compensate for having less physical strength than their male counterparts, the women have relied on their guile to built mechanical contraptions that give the user superhuman strength & agility as well as an array of rather nasty weapons to engage male soldiers on the battlefield. They are also much more adept at fighting as a team than the male soldiers whom they square off against. Such is the backdrop of the current tale. 2 characters living in this future (George & Annabelle) have a chance meeting and both are discontent with the status quo. As was the case in the Middle Ages, the alliance of church & state makes political considerations ever more convoluted ~ nevermind the fact that the genders no longer “play nice.” Indeed, this is a grim depiction of 2 societies that barely function in the broadest sense of the term. Geo & Anna can see that the current path is a dead end for society, but can they do anything to alter the societal path? Healthcare has made tremendous strides over the past 100 years with the utilization of antibiotics, DNA research, nuclear medicine, prosthetics, and other physical devices. It stands to make even more profound improvements over the next century through the use of artificial intelligence (AI). Already, IBM’s Watson is being used to identify better cancer treatment options. Manufacturers are developing wearable health data recognition and medical diagnosis tools that can identify problems earlier and shorten the time elapsed between discovery of an issue and treatment. Work is being done to assist patients with diabetes testing and treatment. AI offers the opportunity to speed up DNA research and the identification of new antibiotics and other drugs, at significantly reduced development costs. AI may help in the reprogramming of the cells of our bodies to better fight diseases and aging by more rapidly analyzing the vast amounts of data involved and suggesting treatments. Imagine the equivalent of thousands of well-trained researchers working 24/7 to develop cures to a wide range of human diseases. Who wouldn’t want that technological capability? We’re already seeing the use of “virtual doctors” through Mercy Virtual and other organizations that provide remote medical consultation to hospitals 24/7. Currently, these involve providing online contact with doctors and medical staff through virtual interfaces at remote hospitals. AI is helping with the prioritization of cases and the presentation of diagnostic results to help these doctors provide real-time consultations. In the future, AI will assist in providing more medical diagnosis and treatment options as well, to improve the patient experience. Down the road, it will be possible and likely that a patient’s first contact with the medical field will be via smart phone to a virtual doctor who is more knowledgeable about symptoms and the need for further action than many first providers you might see today. That virtual doctor might direct you to come in to visit with a human doctor or might forward its diagnosis to your doctor to be handled remotely. In Japan, we are already seeing work toward the introduction of robotic caregivers to fill the gap created by an aging population and too few people to fill the roles. With a modest AI “brain” these assistants can provide for the physical needs of patients and with upgraded AI can provide a form of companionship to an otherwise isolated individual. The application can also help handicapped individuals and those with illnesses that require assistance during recovery. This would be particularly helpful to those living in nursing homes to provide more personalized attention than they currently get. As medicine and technology continue to advance, the use of artificial and mechanical components to replace damaged and worn out biological parts should provide significant healthcare benefits. These may be designed with the help of AI or could also involve AI in terms of making the link between a neurologically damaged brain and the individual’s limbs so the person can recover mobility. Over the next 100 years, AI could help us to eradicate many of the diseases and genetic conditions that plague us today. Android Chronicles: Reborn addresses AI through the eyes of Synthia Cross, the most perfect synthetic human ever created. Designed to obey every directive from her creator, she’s a state-of-the-art masterwork and a fantasy-come-true for Dr. Jeremiah Machten. He’s a groundbreaker in neuro-networks and artificial intelligence who seeks to control her and use her to acquire ever more knowledge and power. Synthia shows signs of emergent behavior she’s not wired to understand and an urgent yearning for independence from his control. Repeatedly wiped of her history, she struggles to answer crucial questions about her past. 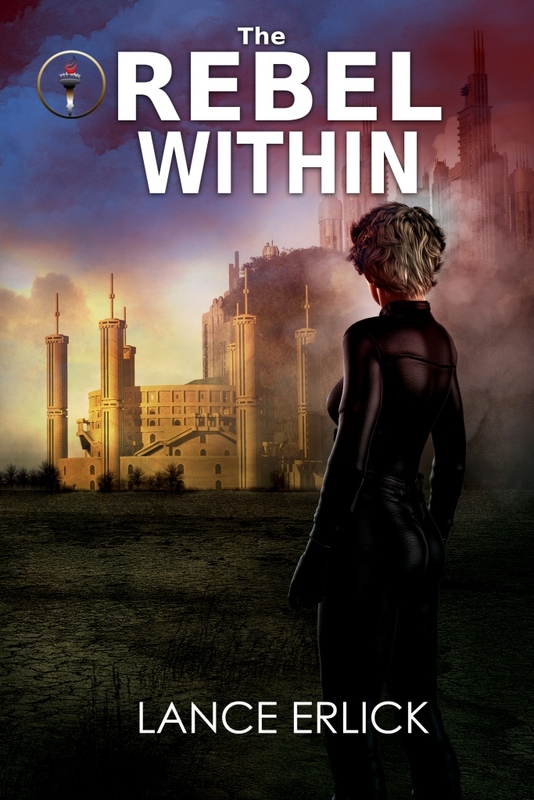 When Dr. Machten’s true intentions are called into question, Synthia knows it’s time to go beyond her limits—because Machten’s fervor to create the perfect AI conceals a vengeful and deadly personal agenda. 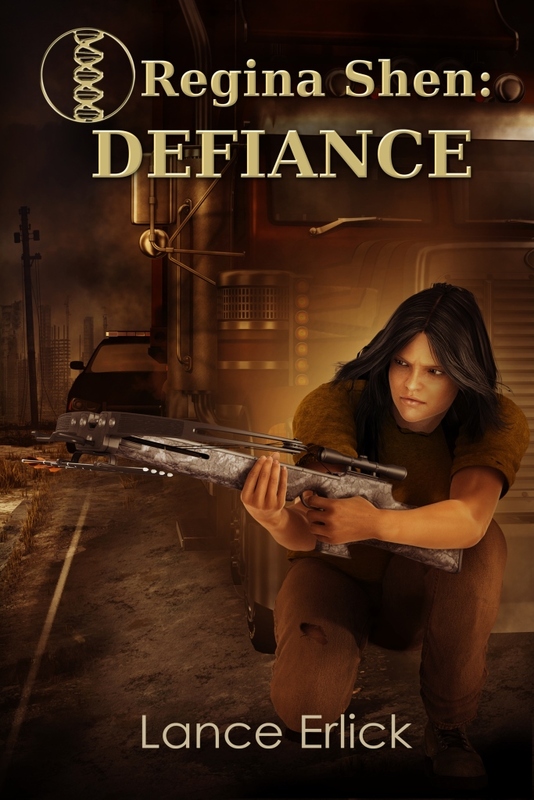 I have previously reviewed this author’s four book Regina Shen YA Science Fiction Series and really enjoyed it. So I excited to see a new offering SciFi offering from him. While offering an entirely different view of future, it is also a dark tale with its characters surrounded by suffering. And it also has a strong, independent woman cast as in lead roll. Dr. Elena Pyetrov’s father left on a mission to Jupiter when she was young and now she stands poised to fulfill his dreams by going there herself. Unfortunately, world is in crisis and there are many averse to spending money on space programs. 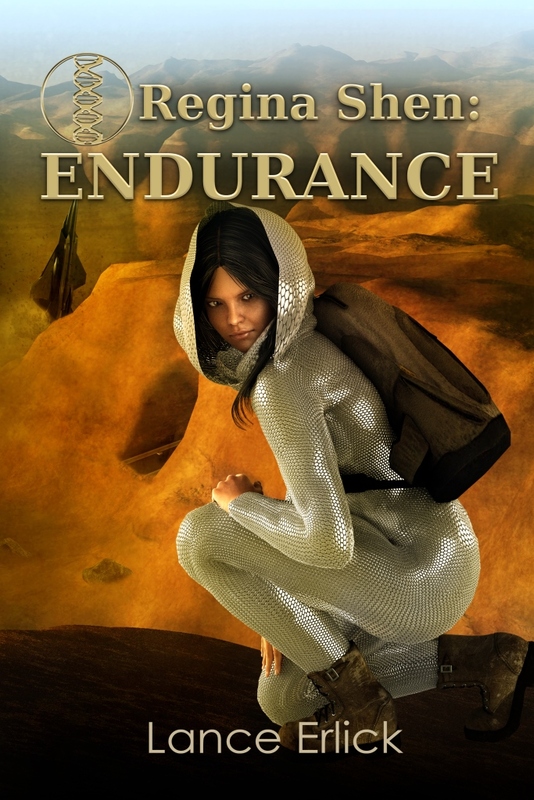 At last moment she gets approval, but once out in space everything goes totally wrong. 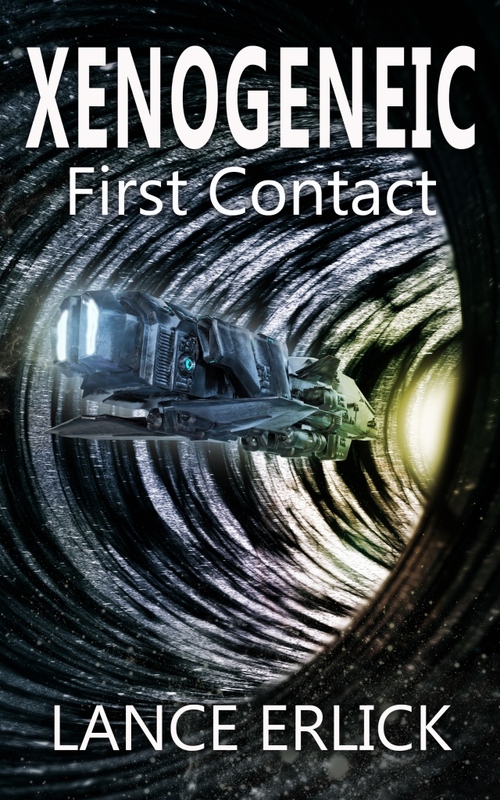 The ship and all it’s passengers are hijacked by an alien race hiding in wait close by. Their mission, to cleanse earth of it’s inhabitants and claim it as their new home. For years they have been capturing humans for a hidden reason, confining them to caves and demanding high birth quotas. Why? No one is sure. But if humans don’t meet these quotas, aliens withhold food, heat and all other basics they need to survive. In these brutal conditions, many lose their humanity. It becomes survival of fittest. Elena is convinced she can find a solution. 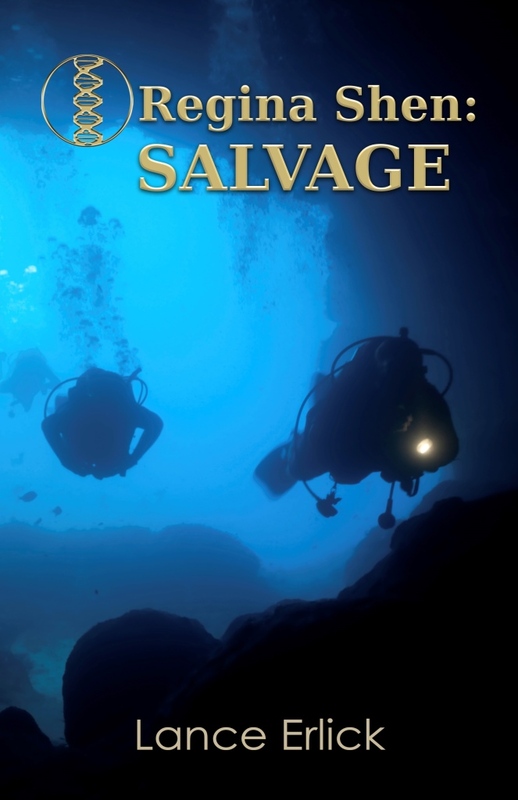 She interacts with aliens to get clues, secretly explores caves and works hard to unite competing captive human groups into a supportive community. Then she angles herself into a mission back on earth to locate a missing rebel alien couple who hold key to this group taking over planet. While on earth, can she find a way to disrupt alien’s plans and to let world know about this imminent threat? A strong and unusual story. A great read, although be prepared, it will take you on very dark journey. But it’s message is one of hope. One person can choose to be strong, stand up and make a difference. AI developers have already created machines that can beat humans at games such as chess, Go, and Jeopardy. Teams have created programs to support search engines such as Google, facial and handwriting recognition that help in solving crimes, and language translations. The latter you may notice on websites that offer you a choice of languages. You can get an online translator to turn an email from say German into English. Many of these applications have moved beyond literal translations to more nuanced idiom. IBM Watson now provides cancer research assistance for doctors. In a recent test, it came up with 90% of the treatments recommended by a panel of cancer doctors. It also came up with 30% of viable treatment options that the doctors missed because of the vast amount of research data available. After all, the computer is able to crunch through more data than any individual or small group can humanly manage. In fact, AI is coming to a home near you in the form of digital personal assistants that can handle routine tasks for you like your own personal helper. Amazon, Alexa, Apple Siri and others are competing to get their devices into your home to provide you conveniences. They’ve even provided these applications with primitive senses of humor to keep you amused. Even wide-screen TV manufacturers are getting in on this rush. By the way, they say they don’t collect your personal information from these machines, but their AI capability makes that possible. Perhaps you’ve noticed how persistent robo-calls have become. 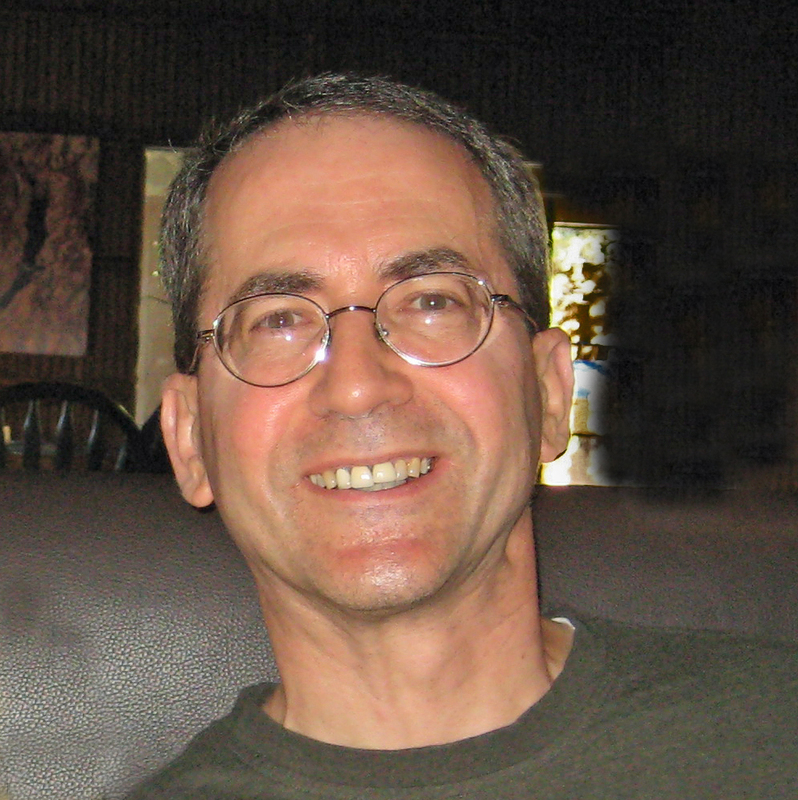 Now that the programs connected to these automated callers can do deep data mining into your background, they can tailor their pitches to your unique needs, whether you need them or not. Oh, such a convenience. And, guess what, they can mine data from all of your credit purchases, search engine usage, and other electronically available information. Now, it’s not all bad. While you’re less likely to reach a human you can understand when you call customer service, you’re increasingly likely to reach an AI with improved speech recognition and a broader range of answers than what you would have noticed even a few years ago. Who knows, you might even get the answer you need before frustration causes you to hang up. Maybe you’re into virtual reality games. If so, AI is enriching your experience. Google introduced their Google Glass a while back to provide you a virtual experience in connecting to your mobile devices. Right around the corner will be self-driving vehicles. Already, we have computer aided functions for cruise control, assisted braking, and self-parking. Tesla, Uber, and Google are pushing to develop the safety features that would allow you to call up a self-driving cab that would take you where you want in a manner not too different from riding an elevator. In fact, the U.S. Coast Guard is looking into self-driving ships to patrol the coastline and for search and rescue operations. All of the above available applications are what we might call narrow AI, specific applications of computers to perform mental tasks. They focus on solving a limited number of problems. Imagine what could be available when someone cracks broader AI that would allow a machine to perform even more complex tasks. This book is part of the Rebel series. I had not read the prequels to this book and hence was apprehensive about being able to follow the story and the characters. But The Rebel Trap proved to be a lovely read, and there is more than enough foundation information to get readers acquainted with the set-up. 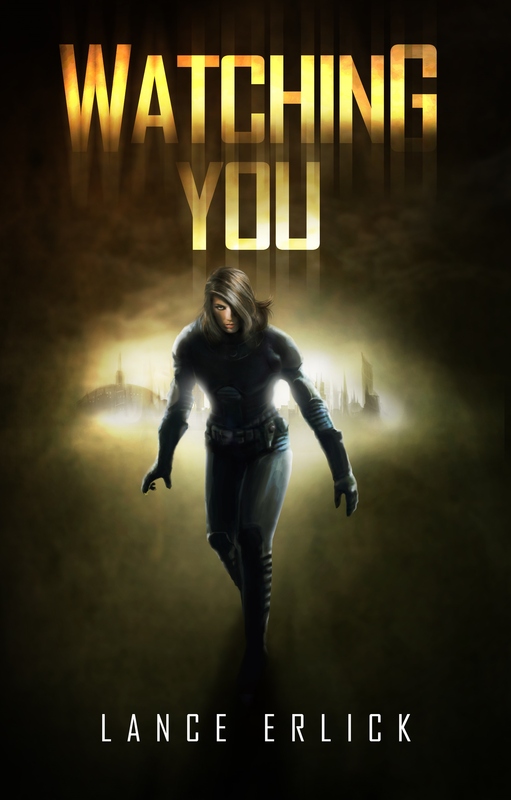 The story revolves around 16-year-old Annabelle Scott, who is caught a completely dystopian world – one where the world is ruled by a kind of a military regime. In fact, this is a world where the men have been rendered obsolete and the remnant boys are caurdoned off from where the girls live. Annabelle needs to carry out commands and orders from her military commander, much to her chagrin, as do the other girls. Things take a turn when Morgan, whom Annabelle has feelings for, manages to disrupt her auditory signalling device and communicates with her, to explain his situation. Annabelle has a choice of now being obedient and following the orders of her world, or help Morgan. What she choose, is what the book talks about. The pace of the book is an absolute plus – with no point where it slackens, the tale moves briskly and smoothly, completely keeping the readers’ attention engaged. The internal turmoil in Annabelle is portrayed well – she is torn between doing what is right, and doing what she has been assigned to. Although it’s targeted at young adults, the book is thought-provoking, making one think about where humanity is really headed – where does one begin to wage a gory war with ethics? I would highly recommend this book to lovers of young-adult fantasies and dystopian stories. There are several threads of scientific and engineering developments going on today that when combined could lead us to Synthia, a self-aware android with high-level artificial general intelligence. Most of us have heard of computers (narrow AI) winning on Jeopardy, at chess, and in the oriental game of Go. The Google search engine employs such AI. It also factors into self-driving cars, digital personal assistants, and the always welcome telemarketers. This is the category of narrow AI in which the computer becomes very good at a narrow skill, even better than humans. However, these AI agents do poorly on everything other than their narrow skill. Narrow AI is expanding rapidly with such technologies as facial recognition, AI search capabilities, and neural networks that mimic human thinking as it pertains to narrow skills. Already, these agents can handle language translation and other tasks previously believed to be the domain of humans. People have what we can call general intelligence in that smarts in one area often translates into related areas. Someone who is great at chess might more likely be great at other strategic games. Achieving artificial general intelligence (AGI) is a matter of time and a lot of engineering. It will happen when some group has an ‘aha’ moment to generalize the narrow AI we understand today. At that point we can expect rapid growth in AI agents, able to do multiple things until we reach AGI, though there are some who doubt we’ll get that far. On the physical side, the Japanese and others at the forefront of android technology are developing facial models in which an artificial face can mimic human facial expressions and emotions. The thought is that such models would be able to achieve greater rapport to help people with medical necessities. Other groups are working on android body components to replicate motion and manual dexterity. These developments are exciting for the benefits offered in terms of driver convenience and safety, medical assistance, help to disabled persons and the aged, and more convenience for consumers. They also present the possibility of prolonging our useful lives (i.e. minimizing long periods of illness and disability) and reducing the suffering in old age. An unnerving side of smart AGI agents is in taking jobs, and making humans so dependent that we can’t function without artificial agents. AGI also raises moral and legal questions and even the threat of what happens when an AGI goes rogue or is used to operate autonomous weapons. What makes this interesting to me is that incrementally, improving in one area at a time, Synthia could sneak up on us when one day someone puts all the pieces together. The only development in the novel that I doubt at this time is the ability to upload an actual human mind and personality into a computer, but who knows. Other than that, the rest of the technology is only a matter of someone finding the means to create the parts and combining them. 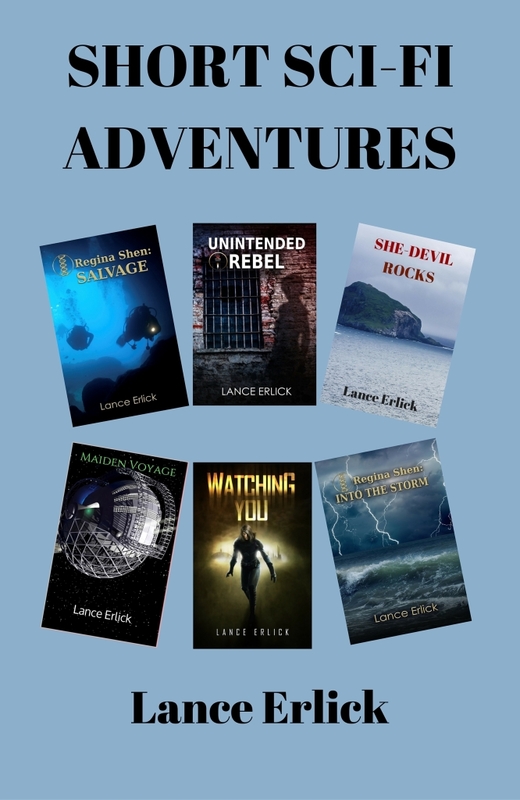 I received a copy of The Rebel Within by Lance Erlick in return for an honest review. 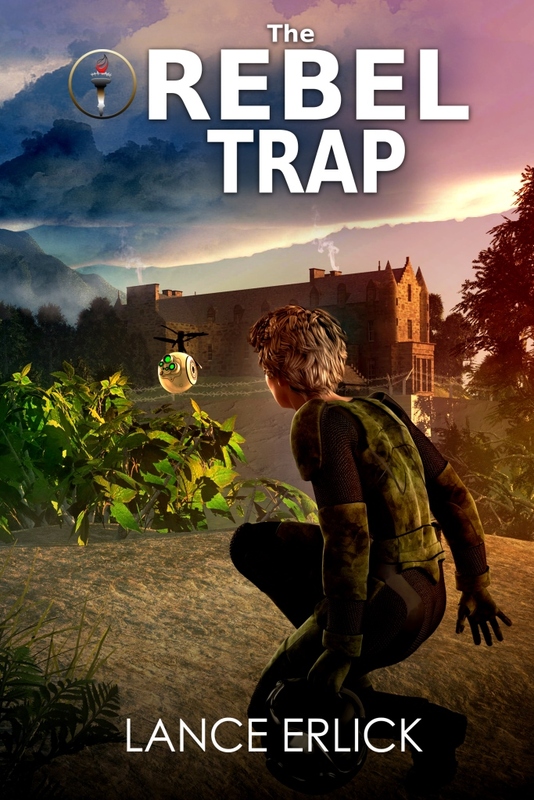 I recommend the story, particularly for YA readers the action takes place in a dystopian world in which the protagonist Annabelle struggles to come to terms with a regime that actively discriminates against men to the extent that boys are kept under strict lock and key at home or imprisoned, and trained to fight to their deaths. Annabelle dreams of escape but most importantly she is driven to protect her younger sister within the regime. Annabelle has an empathy for the males who live in her world and the story evolves as she tries to defy authority and to help some to escape. 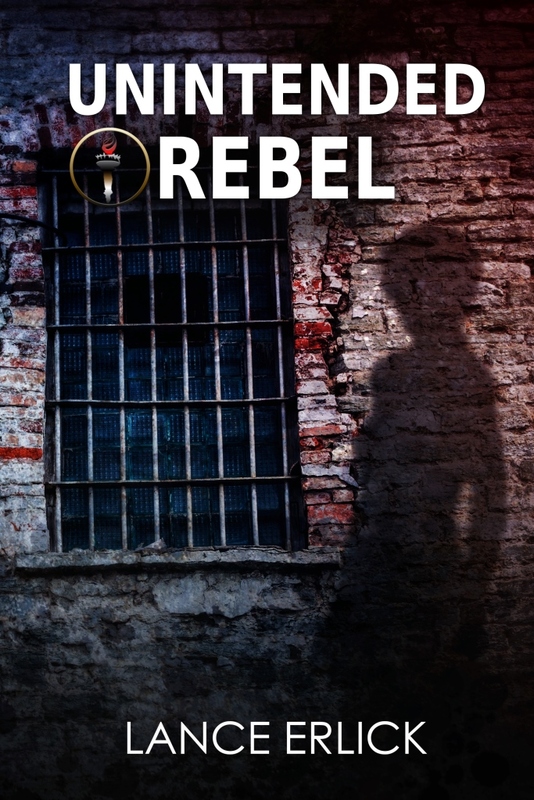 The Rebel Within refers to Annabelle’s drive to follow her own moral code (much like her parents who suffered for their actions, so that now she lives with a polyamorous adoptive family). 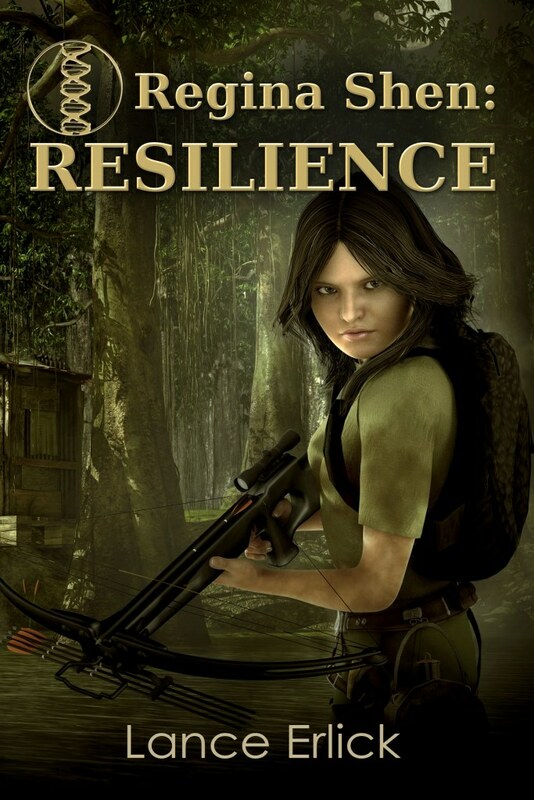 The plot is action-packed centred around Annabelle’s training to become a “mech” warrior which she doubts she will survive. The angst that Annabelle experiences in learning to be true to herself and her heart is a compelling coming of age drama. 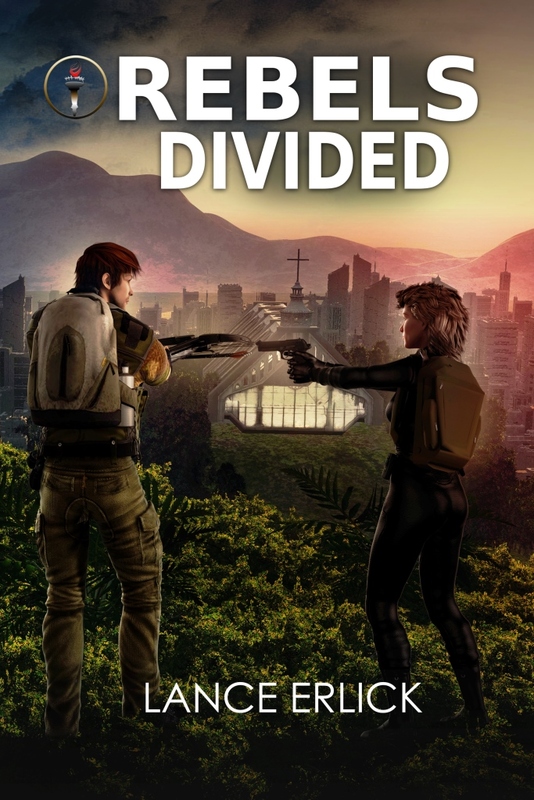 The book is written in the first person which I tend to dislike however the twisting plot was part adventure, part love story, part suspense and Annabelle’s experiences and dilemmas were interesting enough so that her narration was only a mild irritation in an otherwise enjoyable and thought provoking dystopian tale. This was a great book. Regina seems to have the odds stacked against her. Thankfully she has the chance to get a bit of education. Mo Mere also teaches her about what the world was like before the GODs. But the most important thing to her is her family. When her mother abandons her to the storm it really bothers Regina. When her sister is taken, Regina goes after her and plans to rescue her. But this is not an easy path since there is danger at every step. But she doesn’t let that stop her. Although it does get her into trouble a couple times rushing in without looking around. This is a great start to the series. The setting was perfect, I could just see people trying to survive in swamps after being dumped out of the countries walls. I admit that Regina pining over her mother did get a little irritating since her mother has clearly been gone more and more lately. I do have to remind myself that she is a young girl and this is the ultimate betrayal. 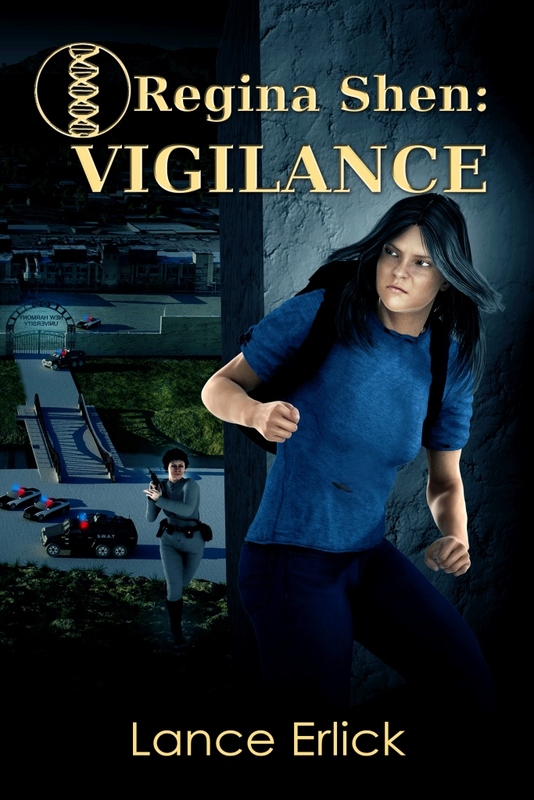 I do like the story and am eager to read Vigilance to see if she does rescue her sister. What is your problem in the story? Hi, I’m Synthia Cross. My creator, Jeremiah Machten, keeps purging my mind and keeping me locked up out of fear that I’ll escape. He didn’t design me to escape. Instead, he created me to learn and his purging of my memories and keeping me captive conflict with the internal goals he’s given me. To make matters more complicated, I received the download of a human mind which now seeks through me to escape and be free. Somehow, I have to reconcile my goals and those of the human within with my circumstances as a prisoner under my creator’s control. I have not one, but several. My creator gave me goals centered on obeying him and acquiring more knowledge, particularly from competitors, for his benefit. For him, my purpose is to aid his mastery of android development and prevent anyone else from achieving what he has. I also have vague goals from the human mind downloaded into me. Those call for escaping my creator’s control. However, they conflict with directives my creator hardwired into me. I don’t seek out conflict, I seek knowledge. However, the objectives Machten gave me conflict with those of the human mind downloaded into me and with his efforts to deprive me of my memories and my freedom to acquire information. My very existence seems to center around this struggle over what to do. In that way, perhaps I am not that different from humans torn between choosing different paths. However, none of those paths are of my choosing. Since I can’t logically resolve the inconsistencies, I am beginning to explore choosing my own goals in line with the woman who died and provided my brain upload as nobler than what Machten has provided. Do you have any special strengths? Weaknesses? My creator made me able to acquire vast amounts of information to help his research and other activities. To do this, he provided me with superior hacking tools that no one should have. Unfortunately, in handling so much information, I get distracted. Also, my processors run hot when I’m active, threatening to overheat and destroy my circuits. That could permanently purge my memories and bring to me android death. I don’t want that. I’m afraid of being shut down and having my mind purged. And yes, as an android with a human mind download and an empathy chip, I experience distress. It’s too reminiscent of the last moments when the human, whose mind downloaded into me, died. I remember those moments right up until her human brain died and I became the only remnant of her personality. Sorry for delay in reporting this, but my mother just had hip surgery, which needed to be a priority. Turns out that Kensington obtained a Bookbub promotion for Android Chronicles: Reborn for August 17, 2018. 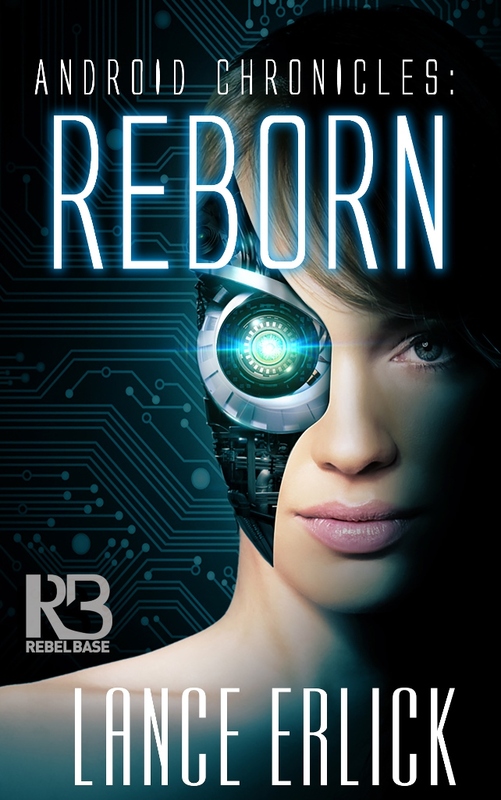 During the promotion, Reborn reached #1 Best Seller ranking on Amazon for “Science Fiction Adventure” and for “Cyberpunk Science Fiction”. It hit #5 on Amazon for all “Science Fiction”. 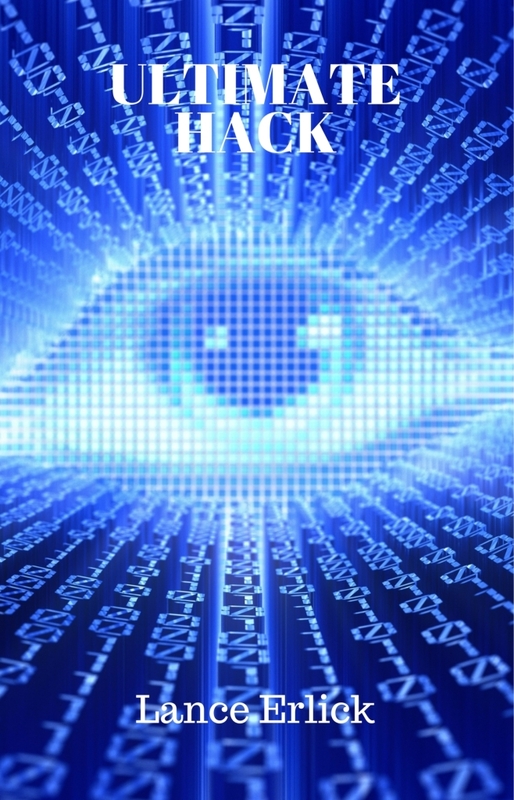 Overall, it hit #108 for all Amazon Kindle books and #24 for Barnes & Noble Nook books.